THE new light commercial vehicle market grew by 8.6 per cent in January, according to figures released today by the Society of Motor Manufacturers and Traders. More than 22,000 new vans and pick-ups joined UK roads in the first month of the year – an uplift of 1,761 compared with January 2018. The top seller was the Ford Transit Custom, pictured above. All segments saw growth in the month, except medium vans weighing 2.0 to 2.5 tonnes, where demand fell by 3.9 per cent. 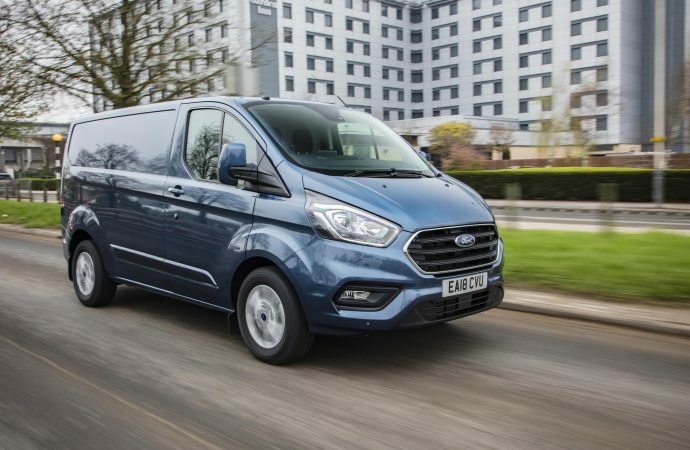 Car-derived vans weighing less than 2.0 tonnes and pick-ups both saw double-digit increases, by 31.7 per cent and 13.4 per cent respectively, boosted by new model introductions and sales campaigns. Demand also grew for large vans weighing 2.5 to 3.5 tonnes, increasing by 7.1 per cent, to 13,268 vehicles. SMMT chief executive Mike Hawes said: ‘January’s positive performance follows a mixed 2018, which finished on a particularly poor December, so some bounce-back was to be expected.